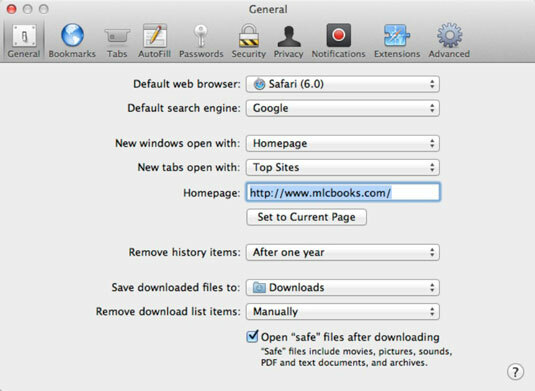 In Safari, display the web page that you want as your new home page. Try selecting a page with few graphics or a fast-loading popular site. Choose Safari→Preferences or press cmd+, (comma). Click the Set to Current Page button. Click the Close button to exit the Preferences dialog. Visit your home page at any time by clicking the Home button on the toolbar. If the Home button doesn’t appear on your toolbar, you can add it by choosing View→Customize Toolbar.